Ocean Bounty, an hour-long documentary series on commercial fishing, began its second season on 13 May. It's a 13 episode series that screens on Three at 5pm each Sunday. Hosted by Graeme Sinclair, the show traverses New Zealand’s coastline, and further, telling the sector’s stories. Season two started in Kaikoura, where Sinclair explored the lingering effects of 2016’s devastating earthquake, and looked at the role community organisation Te Korowai has on the management of the marine environment. “The stories are about sustainability, the value of the Quota Management System and investigating what the industry does not only to protect fish stocks for now but also for our kids,” Sinclair said. 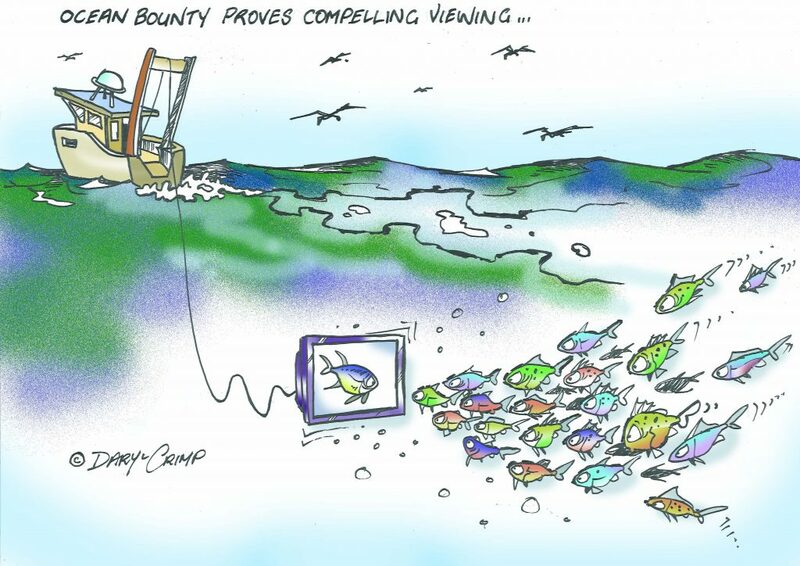 “The commercial industry has a lot of great stories to tell and that is what Ocean Bounty is about. “An episode will follow Sealord’s new vessel Tokatu from its build in Norway all the way back to Nelson. “Maori are key players in New Zealand fishing and we examine effective fisheries management through their eyes. Sinclair will also follow the crew of hoki trawler Amaltal Columbia and Russian-built factory trawler Independent. Inshore innovation takes centre stage also, looking past trawl technology to investigate how the industry is moving forward in seabird mitigation and safety. Having a successful season under the belt has meant the people that feature in season two have been more receptive during interviews, Sinclair said. You can watch the series 5pm Sunday on Three or online at ThreeNow here.